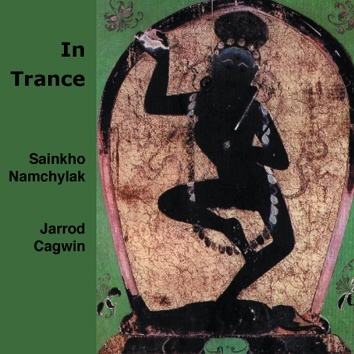 Recorded live at the Jeunesse Festival "In Trance" at the Theatre Odeon in Vienna, Austria, over two days in October 2006, this is yet another performance by Sainkho to marvel at and be amazed. The project has been inspired by the great paintings of Dunhuang caves in China. Beautifully recorded, Sainkho's overtones have never sounded so clear before and it is really difficult not to get into trance while listening to her singing. Jarrod Cagwin's percussion brilliantly complements Sainkho's singing.